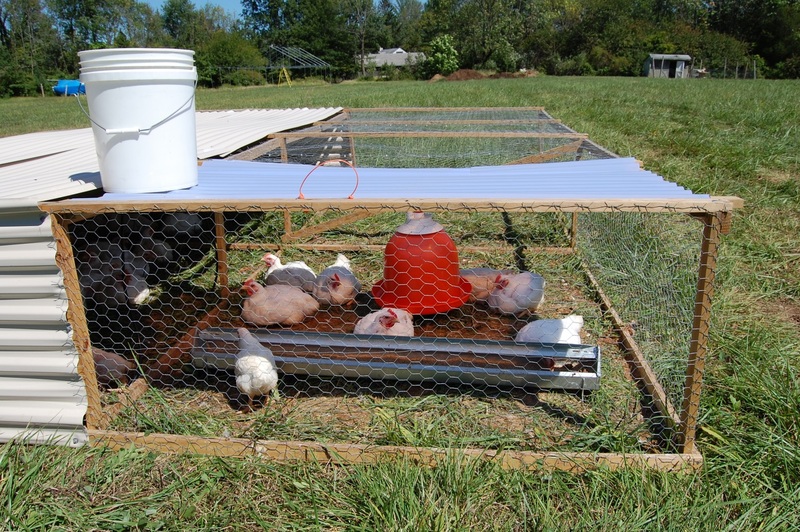 On Wednesday, we put 61 Cornish Giant X meat birds into our newly built Ohio Brooder. Last nights cold worried me that they would not be warm enough. They seem to all be okay after five days. As it shows in the video the chicks are very active. They will stay in this brooder for approximately three weeks and then they will move out to the field in our pastured poultry chicken tractor. When they are seven to eight weeks old we will begin the processing and make them available to our customers. Stay tuned as we make more videos showing how we are raising our delicious pastured poultry for our clients. FiveDollarFarm is located in Southeastern Pennsylvania in Montgomery County. We grow and sell good food while managing God's earth as intended by making it better than we found it. We also educate others and share all that we have learned. We encourage others to choose the same path that we have found. You can reach us via email at fivedollarfarm@gmail.com.